Words allow people to express how they really feel. There are words that greet us, make us laugh, make us angry, make us smile, make us confused, makes us sad and if the situation calls for it, make us feel appreciated. Let’s take a look at the “make us feel appreciated” part. To be appreciated is probably one of life’s greatest things to ever feel. There are different ways people can take to let others feel appreciated. One way is by saying “thank you”. 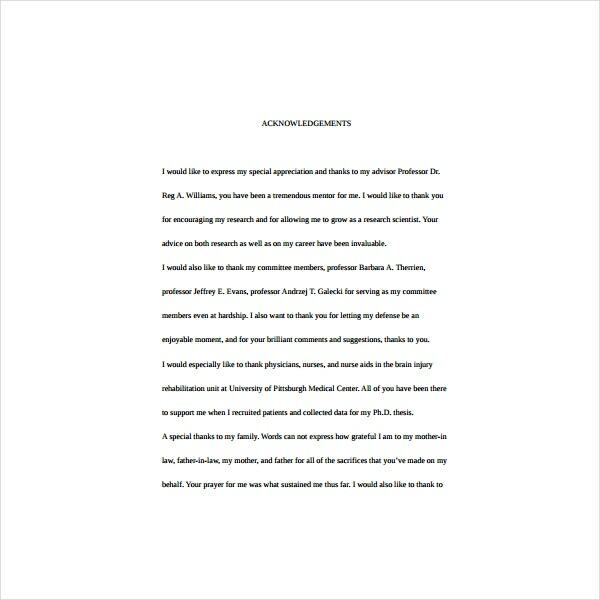 Making an acknowledgment report is also a way for you to express your gratitude to someone, especially if that someone helped you throughout your struggles in life and chose to stay. Acknowledging something can also mean that you have learned something new. In the research setting, this part is truly important and has always been part of it. 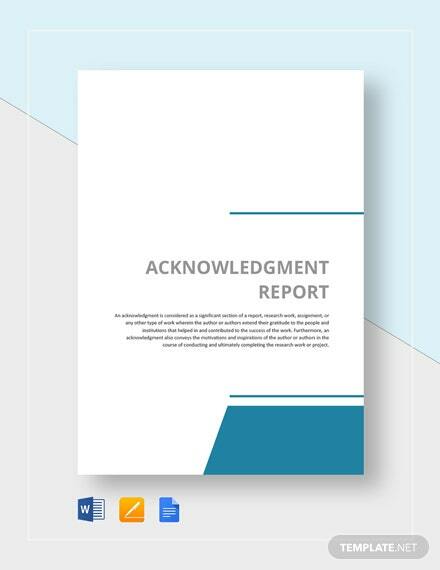 In this article, we will be giving you tips on how to write a good acknowledgment report. We will be identifying other types of acknowledgment reports. 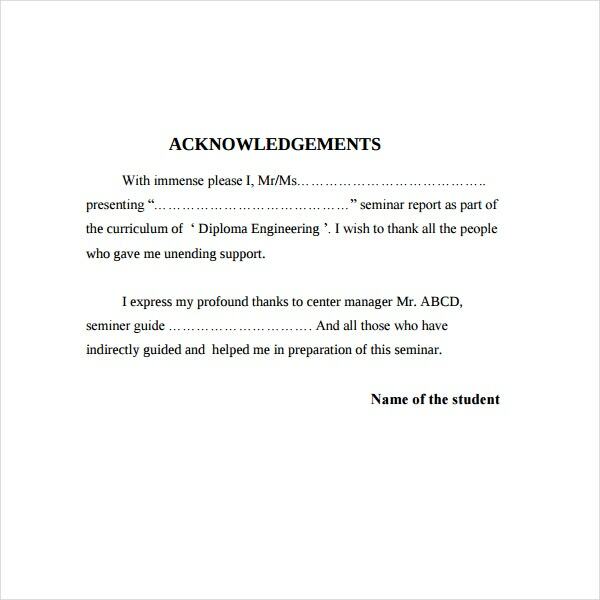 Adding to that, we will also be showing you templates of different acknowledgment reports. So if ever you want to learn all these things for future use, read on. 1. Have the Proper Tone and Delivery. 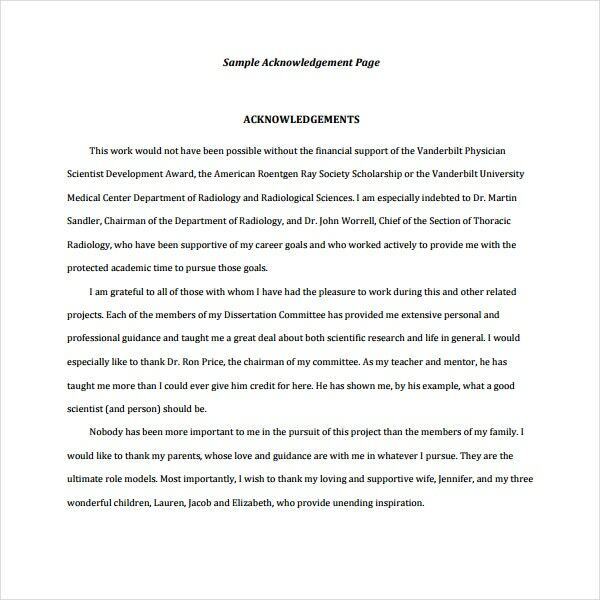 In writing acknowledgment reports, even if the gist is to thank a person, don’t overdo it by adding words that are not deemed professional. Don’t also be too technical in delivering your words of gratitude. Be specific and straight to the point. But above all, be sure your gratitude is as sincere as possible. You may also see sample report templates. 2. Mention the Important People. An acknowledgment can never be complete if you don’t obviously state who the people you’re acknowledging are. Structure your acknowledgment report by having an order of the most important people you want to thank. You can do this by ascending or descending order. By this, we mean that you can thank first the most important persons, or thank them last in your paper/report. You may also see information report templates. 3. Include the Little Help. Some people think that people who only have helped them consistently should be the only ones present in the acknowledgment report. Not true at all. It is also important to those who encouraged you and gave you motivation, even if they weren’t there always. Sometimes, it is about how someone says something that reassures you that you can achieve anything in the world only as long as you put your heart into it. You may also see sample progress report templates. 4. Consider the length. You have to know how long you want your acknowledgment report to be. This is also where you think who deserves a long thank you message and who deserves just the right amount. Do note that if you’re planning to write a long message, don’t include the unnecessary things. Make it specific and straight to the point and add a little emotion to it. You may also like executive report templates. 1. Thesis/Dissertation. Here, people mention who have helped them in their research journey either to complete an undergraduate degree, masters, and of course, the long road to Ph.D. Research is a long and hard process to complete especially if you are not fond of it. Understanding terms you have never faced and analyzing things can seem complicated is never a walk in the park. But along the way, there will always be people behind your back to keep pushing you even if you’re on the brink of giving up on yourself. They choose not to. That is why it is essential to mention these special kinds of people. Let it serve as a good memory and tell yourself that they are already part of a book. You may also see sample excel report templates. 2. OJT. 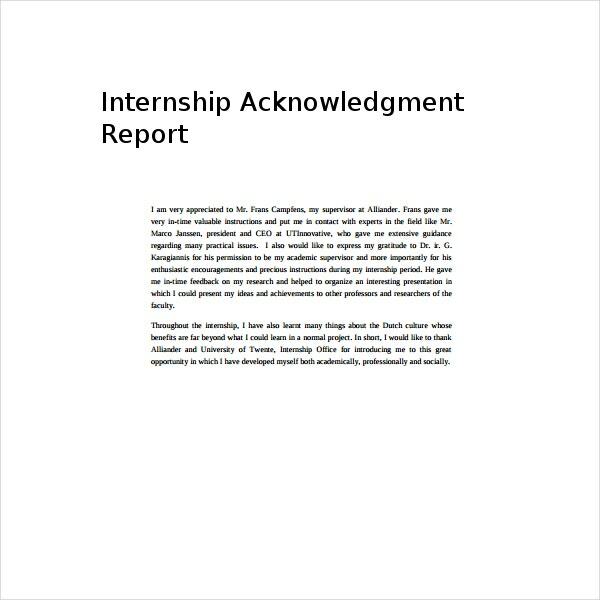 Internship reports are for the purpose to state your experiences from a specific span of time that you have spent during the internship job training. Throughout that journey, you would highlight experiences that have helped you grow or made you learn something new. In your OJT position, you will always have someone higher than you. But, this does not mean he or she is there to take advantage of you. No. These are the people who guide and mentor you in teaching you what life is like if you decide to proceed to this kind of profession in the near future. You may also see activity report templates. 3. Seminar. Seminars are events organized by someone or a group for the purpose of training or discussion with a particular group of people. This is sometimes called a workshop if it involves applying what was being discussed in the seminar. It involves speakers who are experts in a specific type of field or skill. Since that has been said, the organizers would prepare an acknowledgment report or a certificate of appreciation and present it to the speaker after his/her session is done as a way of thanking for sharing his/her knowledge about a particular topic to the group. The acknowledgment report or certificate of appreciation would also be given to the participants of the seminar as a sign of gratitude for spending their time with the speakers. You may also see sample monthly reports. 1. It Shows that They are Valuable. If you give someone a note or a certificate of appreciation, it is one way of saying that you value them as a person and what they do. 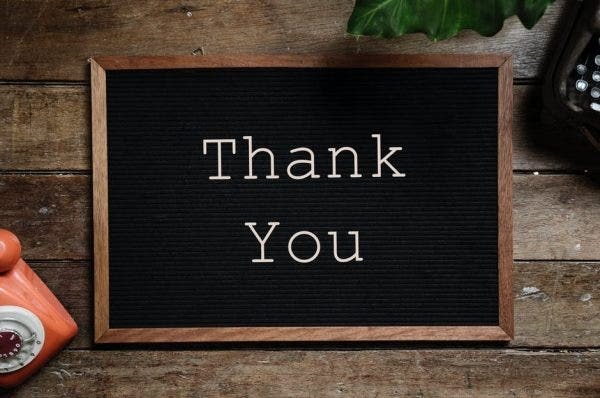 Even simple things like giving them compliments can already make them feel valued and appreciated and this could make the speaker’s day a little bit brighter. You may also like payment acknowledgment letters. 2. You will be Enriched. By appreciating someone and being sincere about it, you will not only make their lives better but you will make yours better as well. Having the awareness that you have made someone’s day better, you will feel fulfilled and thus beginning to appreciate what you have done for him or her or for them. You may also see sample reports. 3. It Opens Up the Possibility of Future Partnerships. Appreciating someone for the things they have done not only boosts one’s morale but it also improves your relationship with that specific person. With this being said, this can lead to future collaborations and an easier way to contact and request for another seminar or workshop. This could also lead to strong bonds of friendships you might not have expected at all at first. 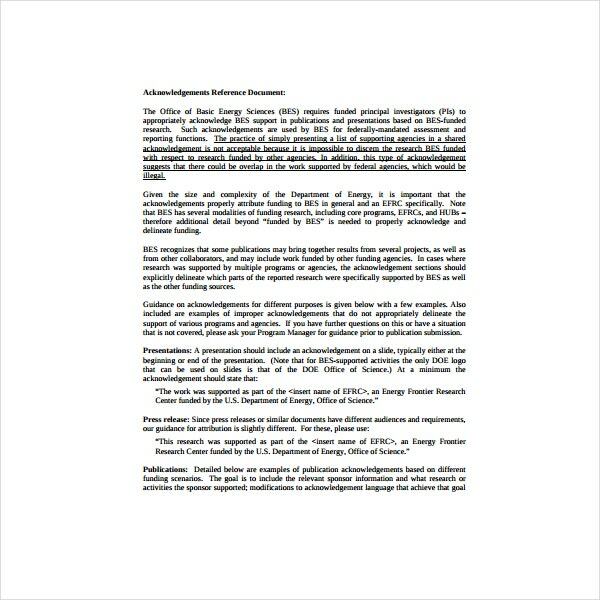 You may also see sample financial report templates. 4. Respect will Grow. When you show appreciation to everybody and is consistent in showing it, their respect for you will grow. This would again, lead them wanting to work and collaborate with you again. You will also be known to them as a very appreciative person and other people would get that impression from you even if they haven’t gotten to know you yet. You may also see sample executive reports.